It’s so easy to look at the shelter blogs and decor magazines with a sense of envy because everything looks so beautiful yet unattainable. When it’s time to decorate, it’s important to remember that the simplicity and details go a long way. Before you get too intimidated to decorate your new home, start with these foundational tips and build from there. Purchase furniture in really neutral colors like taupe, white and grey. You can paint the walls in neutral shades as well. Once you have a neutral color scheme, it’s really easy to build upon that with accessories. You can go in two different directions with color. The first option involves choosing one or two colors. If you choose navy blue and brown, pick accessories that are different gradients within the navy blue and brown families. Choose throw pillows, lampshades and picture frames in those complementary colors. You can also choose to use a themed-color scheme. Some people love jeweled tones like ruby red, emerald green and turquoise. As long as your accessories fall under the category of jewel tones, it won’t be hard to layer, mix and match. When you find ways to infuse nature into a room, it creates a very relaxing space. If you have really large windows in your home, let the sunlight and green trees add their beauty to the decor. If you have a green thumb, add a few indoor plants like fiddle leaf fig trees. Create a flower arrangement and set it on the coffee table in the living room. First impressions are lasting impressions which is why you’ll want to make sure the front of your home is beautiful. Consider hiring professionals from South Florida Hardscape Design to create a stunning layout for your exterior appeal. If you’d like to spend time on the front porch with lemonade, it’s nice to do so in a space that looks really good. In this case, there’s nothing wrong with hiring people who specialize in Luxury Hardscape Design in South Florida. Do a search on the internet and bookmark pictures of landscaping designs that you like. As you gain your vision, be open to what the designer suggests as well. You want a design that you can realistically maintain. Mirrors have the power to make a space look bigger than it is. It’s a good idea to position mirrors in an area where there’s a lot of natural light. 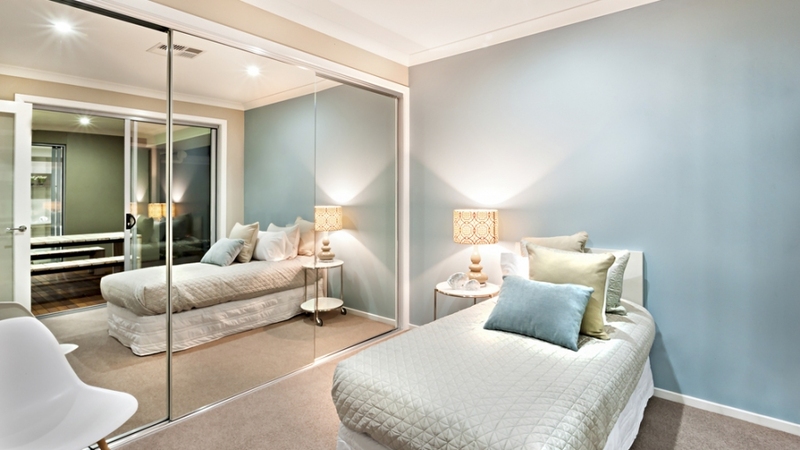 When the light bounces off of the reflection of the mirror, it makes the room appear even bigger and brighter. Use oversized mirrors in certain areas. For an inexpensive option, purchase the inexpensive $5 full-length mirrors and add a custom frame. Instead of hanging it in the standard vertical position, hang the mirror horizontally.